Caricatures don’t make much sense if you don’t know what’s being exaggerated or why….. There was some background information included in the front of the book, but mostly this is a collection of political cartoons that I don’t have enough context to appreciate. The author is a Singapore-born cartoonist, and the cartoons were originally published in book form in 1989. The events that took place at Tiananmen Square in Beijing on 4 June 1989 attracted international attention and sparked outrage at the Chinese government’s military advance on student demonstrators. Since then, a new generation of Chinese has grown up in a country that continues to grapple with issues of political liberalisation, democracy and censorship. I bought it on sale at localbooks.sg. 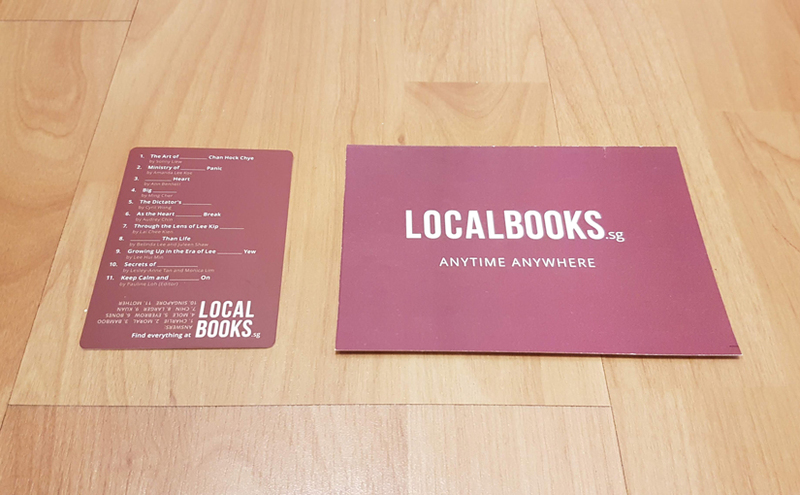 Singapore online bookseller localbooks.sg has done some good branding work. 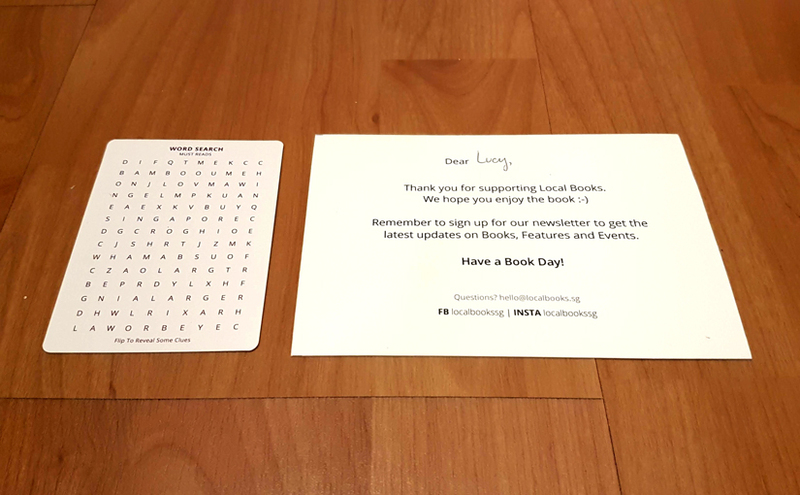 The bubble envelope is bold and cheerful, and the books I ordered came with a friendly note on which someone had written my name, and a little word search that promotes local authors. Starring the actress who played Rue in The Hunger Games (2012), The Darkest Minds was like Wrinkle in Time (2018) plus X-Men: The Last Stand (2006), but better in some ways than either one. I wish I’d known it was based on the first book in a series and not a standalone story; then the pacing would have made more sense. The reviews reflect a general consensus that though the cast was good, the movie feels like a timid, bland echo of other dystopian stories. I dunno, sweet and safe isn’t necessarily bad. Here’s a representative “meh” kind of review, from IGN. Continue reading Does your language control you? Lingering questions. I struggled to get through these. I’m not sure what made them seem so boring. Dwarves, elves, wizards, kings, princesses, armies, a dragon, an interdimensional portal… yawn. Maybe the story felt plot-driven? Maybe it followed too many characters? Maybe it covered too much time? Maybe the author’s preferred version is appreciably worse than the bestselling version the publisher released in 1982? Maybe what feels like a cookie-cutter fantasy epic now would have sounded fresh in 1982? Maybe George R. R. Martin’s ridiculously successful Ice and Fire books now outshine all previous fantasy works? It’s not that I’ve read so much non-fiction that I don’t enjoy fantasy anymore. I loved Brandon Mull’s Five Kingdoms. I think the reason I didn’t like Magician is probably something to do with style changes that have taken place in the fantasy fiction market. Recently, I have tended to read non-fiction and serious fiction. I am using a friend’s recommendation as an excuse to read Magician, a genre fantasy novel split into two mass-market paperbacks. I bought them for $1 each in 2007. Does your language control you? Further reading and viewing! Below are some links relating to topics covered in my Funzing Singapore Talk, Does Your Language Control You? Continue reading Does your language control you? Further reading and viewing!